In this chapter of Track Science we study SHFT’s incredibly detailed work on his new track ‘Fractal’ produced using just Ableton Live, Arturia Minibrute and uncanny vision. Out now on Qilla records with two other bangers to boot on the EP. 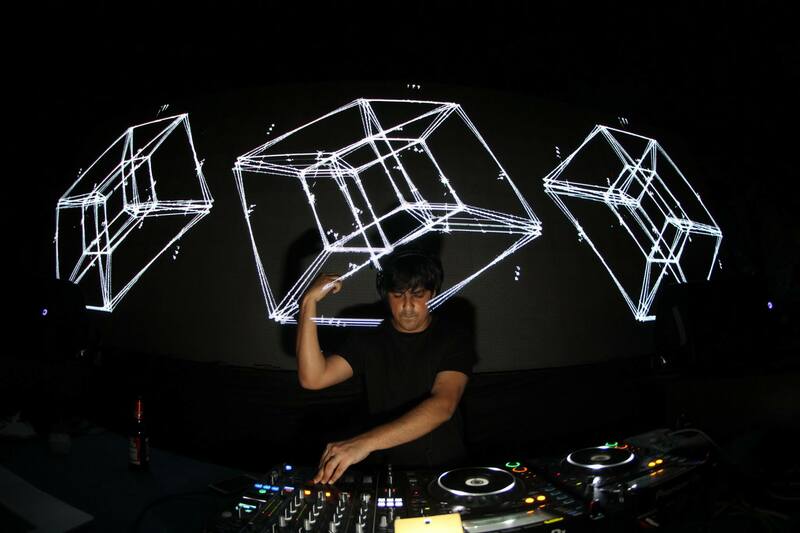 While Delhi based Vipul Angirish in no immigrant to the under ground music scene in India, his music is constantly seeking shelter in delectable crates of Nick Warren, Jamie Stevens, Cid Inc and the likes. In the last one year, with every release he has shown sheer diversity that is praised by DJs, producers and musicians. His role as A&R at Qilla Records, co-owed by Madhav Shorey aka Kohra only goes out as a testament to Vipul’s incredible taste in music and ear for detail. Starting with the full-track, Vipul breaks it down into its structural components and explains his train of thought. I was in Hyderabad at my friend’s house when i started Fractal. The idea came to me when I heard a percussion loop from my friend’s library. It was just a regular percussion loop but suddenly I heard some low frequencies in which usually under normal circumstances I would cut, I didn’t. I actually could feel a groove in the low end so I added an EQ and boosted the low end so much that it became like a bass line. Then I started programming the drums to work with the bass.I often use Arturia Minibrute to make some of the hi hats which you can hear in the drum pattern i created. I wanted to keep the drums a little more organic so made some hats out of time manually while it still works well with the groove to make them more human sounding and quirky instead of keeping them straight. This added more life to the pattern and gave the track a different kind of a groove to work with. Additional hi-hats and snare was added to the existing drum groove to proper a forward momentum to the rhythm. Made from Arturia Minibrute and a delay so it works with the groove and would add to the rhythm, this also serves as a vital component of the track holding it all together and creating a subtle sense of anticipation.If you look at this image, you will also notice that I have a tendency of bouncing everything to WAV after doing basic modulation with the sound source. Made through Ableton Operator using a Sine wave. It worked with the track but it was not cutting through the so I used a guitar amp plugin from waves to make it sound this way. This guitar amp idea gave me another idea to make a distorted bass fill. Improvising on my idea with the previous sound of processing it to add some girt, I did the same with this bass, and it seemed to work real nice with everything else going on in the track. With all these stems and a few more elements, i started arranging the track to make it flow a certain way that I wanted and explored arrangement possibilities. This process is a lot of fun for me as I get to be a lot more creative and I get to find different uses of same elements as I keep messing around with them. After I was done getting a basic arrangement together, then came the main arp. It was made on Ableton’s default synth Analog with a mix of saw and square wav oscillators and shaping the envelopes using a low pass filter. Then I used an Arp MIDI effect and a Chord Tool effect to get the notes that I got. I used separate channels for the key changes as they all had different chord midi effects. I could have just automated one of them to get the desired result but this seems much faster and comfortable for me. Then I added a string in the low octave to give it a more bass, thick and organic kind of vibe to the track. This was made using Ableton’s default string library. After getting all these things in place i added other filler sounds to completely finish the track. This track is a good example of the fact that you don’t need too many synths and hardware to get your creativity out. I was in a situation where my friend only had miniature, some drum samples and Live’s default instruments. With only this much in hand i was able to finish the track comfortably and was very happy with it, maybe a lot more than the tracks where I had everything i needed.